54 active ingredients in one complex formula? Yes! BIG BANG 3.0 is a very strong, very complex pre-workout product that delivers 54 active ingredients without large amounts of carbohydrates! This product has been meticulously designed to support your body during physical activity, especially during high-intensity training. Our best, 5 component multi-creatine matrix (6230 mg) provides – among others – the most studied Creatine form ever! 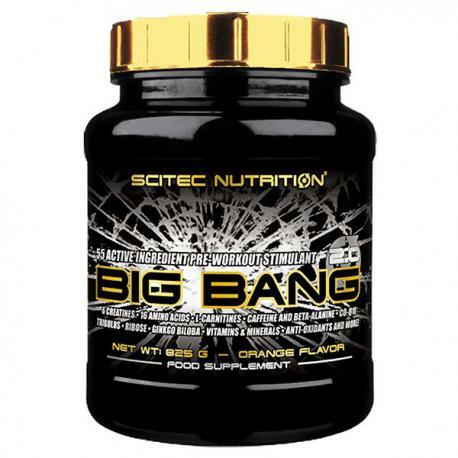 Creatine in this dose is scientically proven to increase performance in successive bursts of short-term, high intensity exercise like weight training and intense interval cardio! 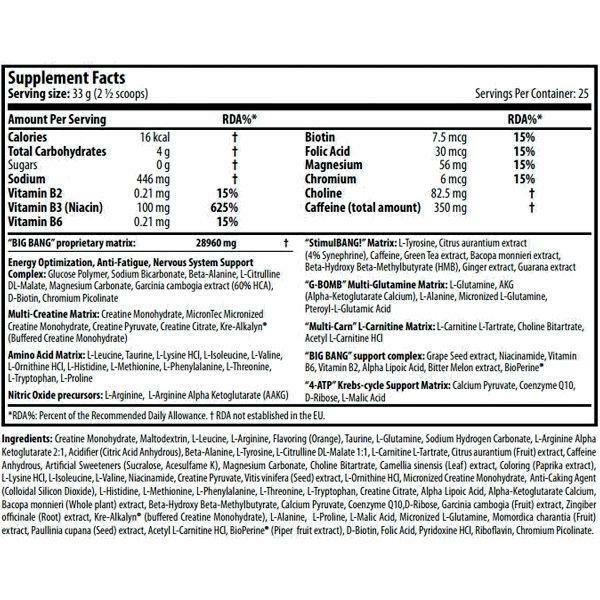 - VITAMINS & MINERALS AND MORE! Choline contributes to normal homocysteine metabolism, to normal lipid metabolism and to the maintenance of normal liver function.